City Compost is excited to begin a new relationship with Sustainable Westford and will be exploring how we can partner together to provide a composting solution for patrons and vendors of the Westford Farmers Market. 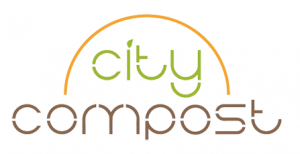 Come meet City Compost at our June 27 market. City Compost provides a weekly service for discarded food and other compostables at homes and businesses. This material is directed back into the soil as compost for growing more food right at home or at local farms. All types of food can be included with service even meat, dairy, and grains, plus material collected by City Compost is processed independently and balanced with only clean sources to create the highest quality compost possible. On top of all of this, all compost that is made can be received back by home customers after it is screening and testing or it goes to support local, sustainable farms. If food goes into the garbage, it ends up rotting into greenhouse gases in landfills or is sent to the incinerator. As you may be aware, composting reduces waste, enables a greener lifestyle, enables the growing of more healthy produce, plus saves money in the short term for the town by reducing waste and in the long run for the individual by enabling more food to be grown right at home.